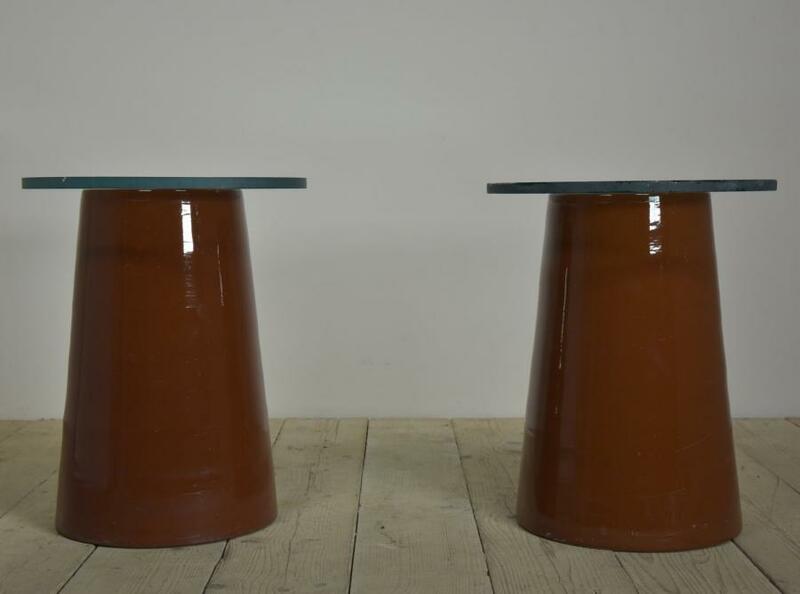 A unique pair of tables made from conical glazed ceramic bases and reclaimed thick glass tops.English 1960's. 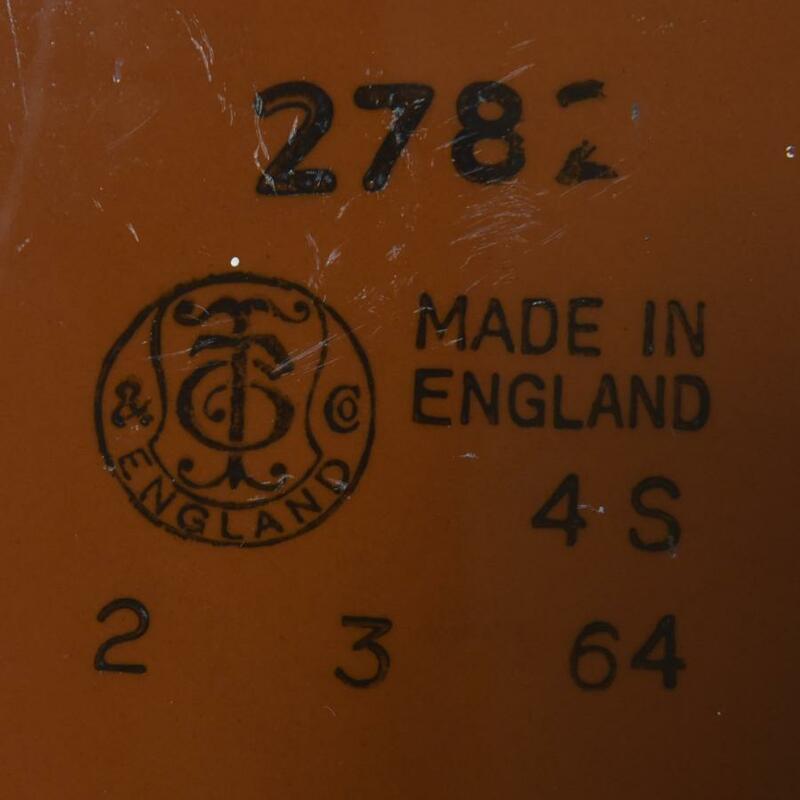 The bases probably electrical insulators and both with makers marks and dated. 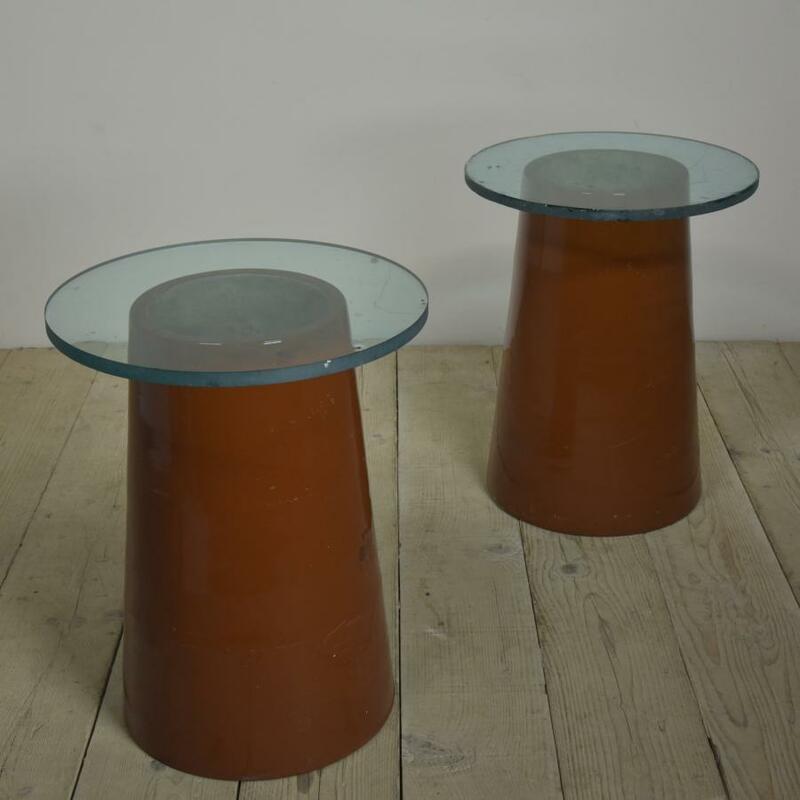 Could make great bedsides particularly if lights were placed within the bases.The glass tops of course could be changed. 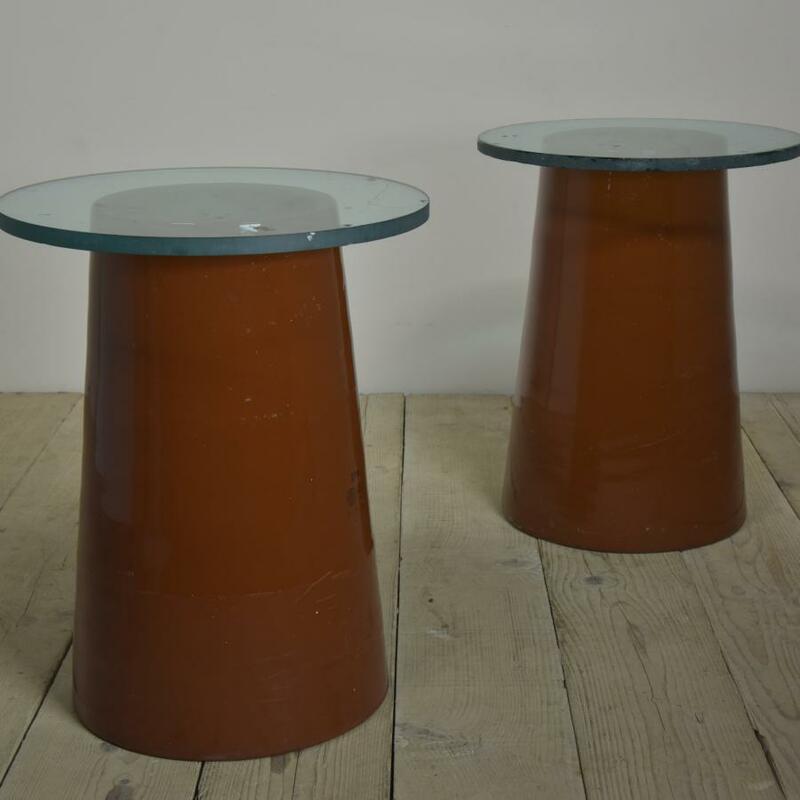 Dimensions in inches/cms; 25"/63.5cms tall including the top (one is approx 1cm lower than this) 20"/51cms diameter of glass top ( .75"/20mm thick ) Base diameter is 16"/40.5cms narrowing to 11.25/28.5cms. For more / higher res images please see my blog which can be accessed through the news section of this (haes) website.